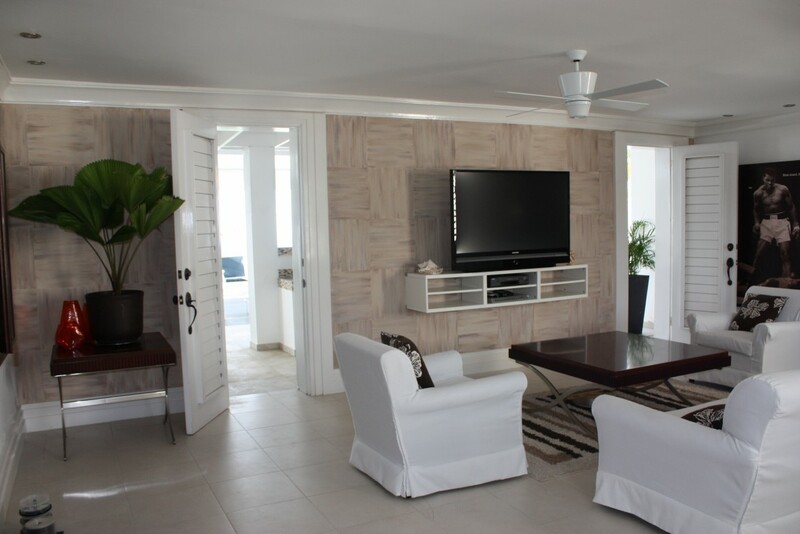 Colours were pulled from the existing elements in the room to create a peaceful yet intriguing effect on the walls in this beautiful Media room that overlooks the ocean. 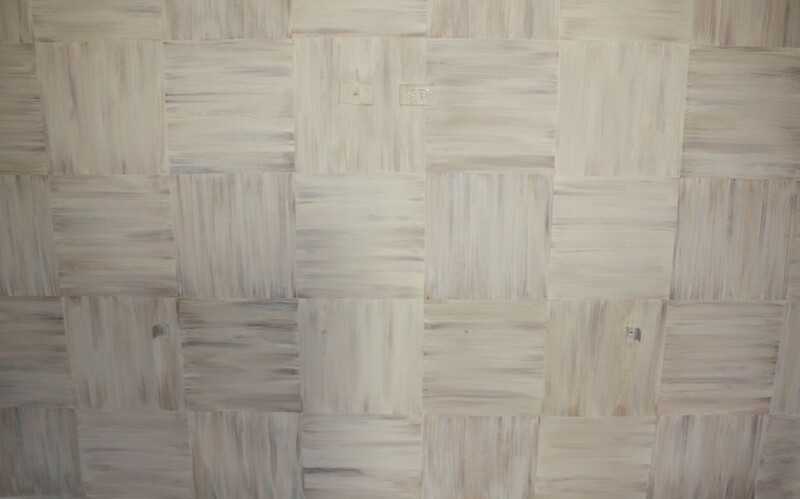 This Faux was done to resemble a “cheker-board” effect of large wood grained panels. The overall look resembles a Giant Weave of Bamboo.